Nestled on a quiet stretch of the Cumberland River, in a small, quiet town just south of the Tennessee/Kentucky border sits an unassuming two-story building, with a long porch on the south side and a balcony overtop. While it may not look flashy or magnificent, it was here at the Dover Hotel that the Battle of Fort Donelson would end and the legend of Ulysses S. “Unconditional Surrender” Grant would begin. While small in scope when compared to Gettysburg or Shiloh, Fort Donelson was a significant battle that set the tone of the War in the Western Theater for the next two years. Today, Fort Donelson National Battlefield stands as not only an exquisite example of original Civil War earthworks, but also a tribute to those who struggled in an important and often overlooked event in the history of the United States. 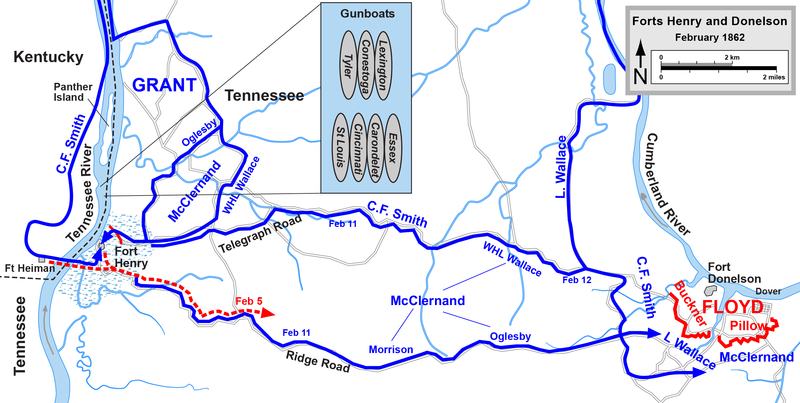 Following the secession of Tennessee in June, 1861, the Confederacy recognized an urgent need for defenses protecting the three key western rivers; the Mississippi, the Tennessee, and the Cumberland. The Mississippi defenses were initially installed at Belmont, MO and across the river in Columbia, KY (despite Kentucky’s declared neutrality and opposition to military installations withing its’ borders). For the Tennessee and the Cumberland a lawyer-turned-brigadier general named Daniel S. Donelson was selected to find suitable locations for river forts. Two sites were selected on the Tennessee, across the river from each other and just south of the Kentucky state line: Fort Heiman (named for the engineer in charge of its construction) on the western shore and Fort Henry (named for Tennessee Senator Gustavus A. Henry) on the east. Unfortunately Donelson’s chosen location for Fort Henry was poor. The area was low and swampy, dominated by bluffs on the opposite side of the river where, if Fort Heiman should fall into enemy hands, the high ground would render Fort Henry worthless. To guard the Cumberland Donelson chose a spot on the river’s west bank, twelve miles east of Fort Henry, just downstream of the small town of Dover, TN. The works constructed here would be named, appropriately enough, Fort Donelson, and would sport two heavy artillery batteries overlooking the Cumberland. In September, 1861 Lt. Joseph Dixon made a report to General Albert Sydney Johnston, commander of Confederate forces in the West, on the state of affairs at the three “sister forts”. His report found the construction at Fort Donelson was behind schedule, and the location for Fort Henry was incredibly poor. He also concluded that construction on both was too far along to start over elsewhere. While the South was building defenses the North was making preparations of their own. The North recognized, just as the South did, that control of the rivers was the key to victory. 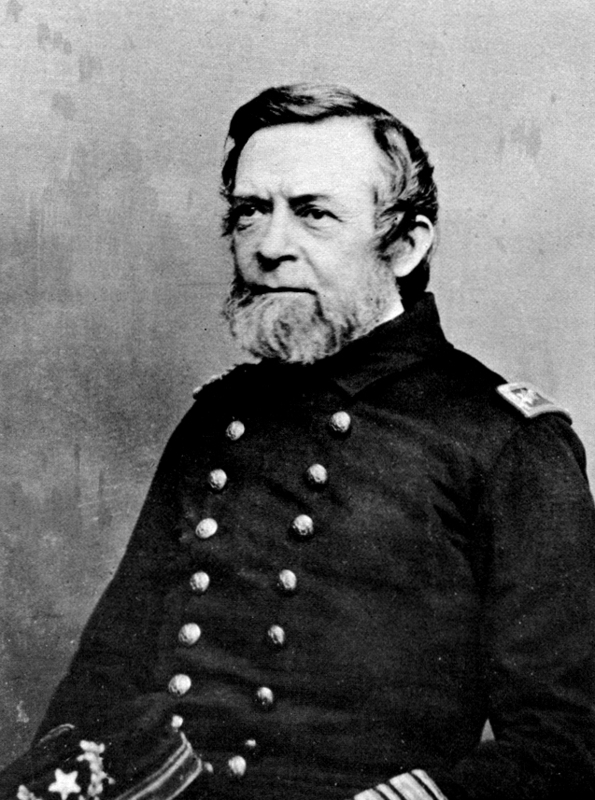 To that end US Navy Commander John Rogers was sent from Washington DC to St. Louis to explore the possibility of conducting naval operations on the rivers. Rogers made a deal for three riverboats, the “Lexington”, “Conestoga”, and “Tyler”, and arranged to have them reinforced with heavy lumber only to be told that the Navy was unwilling to take command (or pay for the boats) and he should report to the War Department. The Army was only too happy to take his “timberclads” and, operating under Army authority, the Western Flotilla was born. The Western Flotilla, or as it was more popularly known, the “Brown Water Navy”, would be bolstered further by a War Department contract won by businessman James B. Eads of St. Louis (for all my STL readers this is the fellow the Eads Bridge is named for). Eads would supply the Army with seven shallow-draft riverboats, all with heavy armor plating. 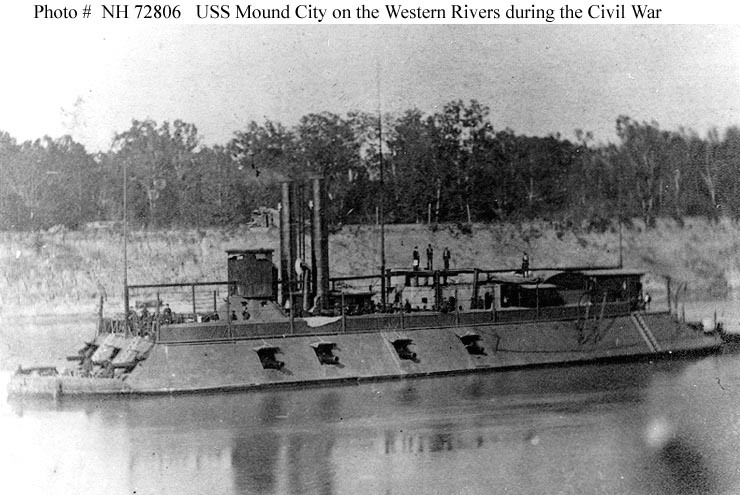 Designed by Samuel Pook and built in shipyards at Carondelet, MO and Mound City, IL the seven city-class ironclads, or “Pook’s Turtles”, would be named for various cities significant to their creation: “Cairo”, “Carondelet”, “Cinncinnati”, “Louisville”, “Mound City”, “St. Louis”, and “Pittsburgh”. On August 31, 1861 newly promoted Flag Officer Andrew Hull Foote was tapped to command the Brown Water Navy. 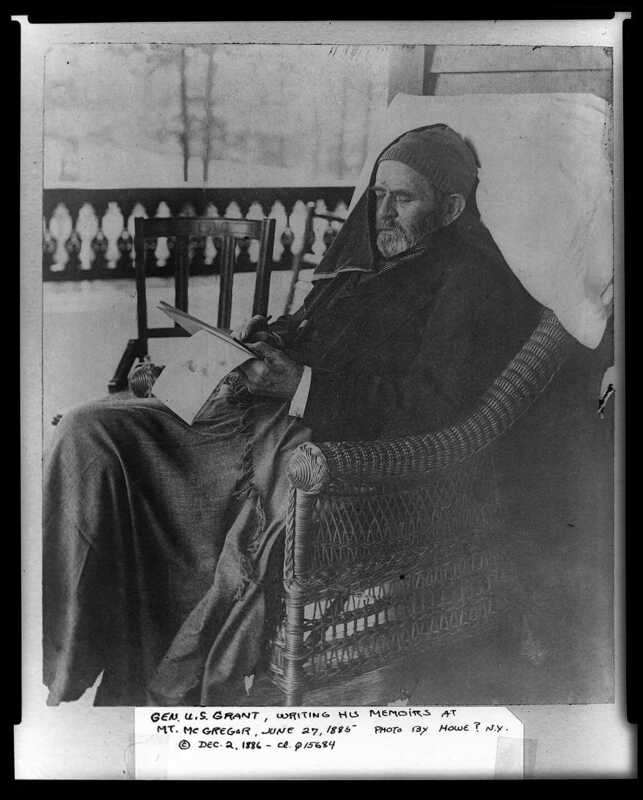 Ulysses S. Grant, meanwhile, was eager to begin operations. A West Point graduate and Mexican War veteran, Grant had been living the life of a quiet farmer the past five years. 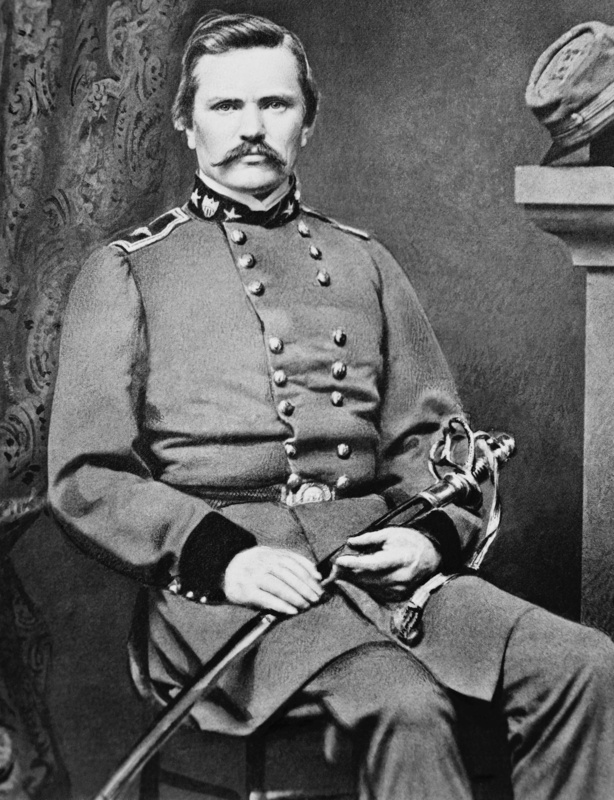 When war broke out Grant immediately sought a commission and by February, 1862 had worked his way up to Brigadier General. Save for a small skirmish at Belmont, MO in November, 1861 his troops had never seen combat, but with the gunboats at the ready and construction of the Confederate river defenses lagging Grant knew the time to strike was now. Sadly he had trouble convincing his commanding officer, General Henry Halleck in St. Louis, of this fact until February, 1862 when Grant finally received orders to take his troops and the gunboats and move against the forts. Wanting to keep the pressure on the Confederate troops Grant proposed to move on Fort Donelson immediately, telling Halleck he would take it on the 8th. 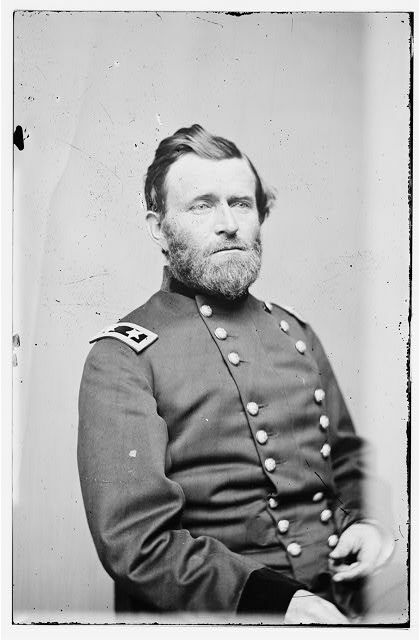 Had he been able to engage Fort Donelson on the 8th Grant might have been correct, there being only about 7,000 troops in Fort Donelson at the time, but unfortunately for him the weather refused to cooperate. The recent rains would continue and, slogging through the mud, it would take Grant’s troops six days to cover the 12 miles between Fort Henry and Fort Donelson. When Grant did arrive outside Fort Donelson on the 12th he found that the garrison had been substantially reenforced with Confederate troops from nearby Clarksville and he was opposing a force of around 12,000, nearly equal to his own. Minor skirmishes and sniping between the lines took place on the 12th, but the real fighting was yet to come. Dawn broke on the 13th with Grant maneuvering his men into position surrounding Fort Donelson as both sides continued to receive reinforcements. Only one city-class ship had arrived downstream so far, the “Carondelet”, and Grant planned to use it to create a diversion while two divisions under Generals C.F. Smith and John McClernand advanced, hoping to find weak points in the Confederate line of earthworks surrounding the Fort. The “Carondelet” traded artillery fire with the two river batteries of the fort briefly before the Confederates got the range of the ship and, from about a mile and a half away, sent a 128-lb shell fired from the big Columbiad gun into the ship’s engine room, causing the ironclad to fall back. While this was happening ground troops attempted to charge the Southerners’ line, only to be repulsed with heavy loss just shy of the Confederate rifle pits. That night both sides continued to receive reinforcements. For the troops in grey, a brigade under General John Floyd was all that arrived, while the boys in blue brought up a brigade from Fort Henry under General Lew Wallace as well as three more ironclads, two timber-clads, and several transports bringing fresh regiments of ground troops. Grant’s plan was to use the might of the Western Flotilla to level the river batteries and the fort at which time the ground troops would sweep in. The Confederates, now being commanded at Fort Donelson by Floyd (the garrison’s commander had changed 5 times in the last 6 days), had realized their position was untenable and would attempt to break out of the Union stranglehold by slipping around the Union right. McClernand’s troops had been extending out above the town to cut off any means of Confederate escape, but they were stretching thin and couldn’t reach all the way to the river. The fighting on the 14th would be dominated by the Brown Water Navy, as they attempted to reduce the water batteries. The battle on the water would ultimately belong to the Rebels though, as every gunboat the Union had would be repulsed with heavy damage. The troops on land were fairly quiet. Grant didn’t want to order a full-scale confrontation with only minimal support from the Flotilla and although Confederate troops would start to march out of Fort Donelson on the left they would inexplicably stop and countermarch right back in. The 15th would see the heaviest fighting of the battle. At dawn Confederate troops under General Gideon Pillow, determined to break through the Union lines on the left, attacked and began to quickly roll back the right flank of the Federal army, the division commanded by McClernand. Falling back, he sought the assistance of the division to his left, commanded by Wallace. After several hours of fighting the Rebels seemed on the verge of breaking out around the Union right. Confederate General Simon Bulivar Buckner’s division had prepared to act as rear guard to the escaping column, going so far as to bring their supplies and rations with them, but when they got to the front they found Pillow’s troops falling back, not stopping until they sat down in the same rifle pits they left when the attack began that morning. It seems that Pillow was under the impression that the decision had not been fully made to evacuate the fort and when he attacked in the morning he went straight for the win. Unfortunately for him (and the rest of the Confederate troops) everyone else in the fort was operating under the assumption that they were leaving town. So in the afternoon, when Pillow ran low on ammunition and found himself being counter-attacked by Wallace, he decided to simply fall back rather than evacuate. A gallant counter-attack by Union General C.F. Smith on the Federal left as well as action on the right by Wallace and McClernand allowed the Union Army to regain most of the ground it had lost during the day. Whether or not it was enough to seal off all Confederate escape routes is something that historians debate even today. That night three of the four Confederate generals at Fort Donelson held a conference in Buckner’s headquarters, a long two-story building just east of the town of Dover called the Dover Hotel. It had been built from 1851-1853 and accommodated steamboat traffic until the Civil War broke out. It was here that the decision was made on the night of February 16th, 1862 to surrender the Confederate troops and holdings at Fort Donelson, but the decision was not without detractors. Buckner felt that while escape might be possible the casualties incurred would be too high to make the risk worthwhile. General Floyd, former United States Secretary of War under James Buchanan who left office under suspicion of bond fraud and accusations of sending large stores of ammunition and supplies to the South prior to secession, agreed with Buckner that surrender was the best option but being unwilling to be captured decided to give up command and escape himself. Leaving with him was General Pillow, who opposed surrender but was also unwilling to be captured. That passed command of the Fort to Buckner who called for pen and paper. The remaining general, Bushrod Johnson, was not consulted on the decision and wouldn’t find out until the next day while making preparations for his men to evacuate. Buckner’s note reached Grant across the lines early the next morning and asked for a temporary cessation of hostilities so that commissioners could be appointed to negotiate terms for the surrender. Buckner was probably expecting fairly generous terms, something akin to the surrender of Fort Sumter where the capitulating troops were allowed to march out; a parole d’honneur, an informal agreement between gentlemen. At this point in the war such a thing was still possible. Official procedures for treatment of prisoners had not yet been established. What Buckner actually received as reply shocked him so much he had to reread it several times. Grant wrote “No terms except unconditional and immediate surrender can be accepted. I propose to move immediately upon your works.” Buckner replied that he had no choice but to agree, although given his personal history with Grant probably felt a little let down. Grant and Buckner had known each other for many years. Buckner had been a class behind Grant at West Point and the two had fought together in the Mexican War. In 1854 Grant was stationed in California, a world away from his wife Julia and young sons Frederick and Ulysses Jr. in St. Louis. It took a toll on Grant and he started to drink. In 1854, shortly after promotion to captain, Grant resigned (whether under pressure or not is unknown) and began the long journey home. His money ran out as he reached New York City and he was on the verge of being thrown out of his hotel while he waited for some to arrive from his family in Ohio. Luckily for Grant he ran into his old friend, Simon Buckner. Some stories would later say that Buckner fronted Grant the cash to pay his hotel bill, but Buckner himself denied this vehemently. What he did do was to vouch for Grant’s character with the hotel, saying he was certainly good for the money and would pay as soon as it arrived. It was a kindness Grant would attempt to repay at Fort Donelson. Despite the terse tone of their correspondence Buckner and Grant actually greeted each other warmly. After working out how to handle the surrender (neither side of the war was prepared for such a large number of troops, around 13,000, to be surrendered; it had never happened before!) Grant pulled Buckner aside and told his old friend his purse was at his disposal, should he need it. Buckner appreciated the gesture, but politely declined. After the surrender, Grant was a household name. Once the contents of his letter to Buckner became public he became “Unconditional Surrender” Grant, a headline in every northern newspaper. Buckner would be sent to a prison camp in Boston where he would stay for five months before being exchanged and sent back south where he earned distinction at the Battle of Chickamauga. When the war ended he was commanding the Trans Mississippi Department, ultimately surrendering his army in New Orleans in June of 1865, two months after General Lee laid down arms at Appomattox. Thus, he was both the first and last Confederate general to surrender troops during the Civil War. Grant at Mt. McGregor working on his memoirs. This picture was taken June 27th, 1885, less than a month before he passed away. Grant passed away on July 23, 1885, having finished his memoirs just five days earlier. His funeral was held in New York City on August 8. One of the pallbearers was Simon Bulivar Buckner. As for the Dover Hotel, it has lead something of a charmed life. Following the Battle of Fort Donelson Union troops occupied the fort and town, but two attempts were made by Confederate troops to retake it, once in mid-1862 and a larger skirmish on February 3, 1863 known as the Battle of Dover. It was during this engagement that the town of Dover burned to the ground, with all but four buildings completely destroyed. Of the four that escaped the flames, one was the Dover Hotel. After the war it would again function as a hotel for traffic off the river. Over the years it would be known by several names; the Dover Hotel, the Commercial Hotel, and the Hobing Hotel. In 1925 the Hobing family closed the Hotel for good and the building was scheduled for demolition. Before the wrecking ball fell a group of citizens with a sense of the history the simple structure contained formed the Fort Donelson House Historical Association and purchased the property in 1928. It was operated as a private museum and later became part of the Fort Donelson National Battlefield. Today the “Surrender House”, as it’s known, is restored to its 1860’s appearance and functions as an educational center focusing on the events and influence of the Battle of Fort Donelson. Fort Donelson National Battlefield contains not only beautiful views of the Cumberland River from the upper and lower artillery batteries, but also miles of the original earthworks that made up the Fort. As for Fort Henry, it was reclaimed by the Tennessee River when the river was dammed to create Kentucky Lake. All that remains of the Fort today is a marker on the side of a nearby road. Knight, James R. The Battle of Fort Donelson. Charleston: The History Press, 2011. Print. Joiner, Gary D. Mr. Lincoln’s Brown Water Navy. Lanham: Rowman & Littlefield Publishers, Inc., 2007. Print. Flood, Charles Bracelen. Grant’s Final Victory. Cambridge: Da Capo Press, 2011. Print. Most images are mine. Others are from the Library of Congress Digital Collection and are in the public domain. Images in public domain used with licenses are cited as such. How Do You Support a 5-ton Elephant?